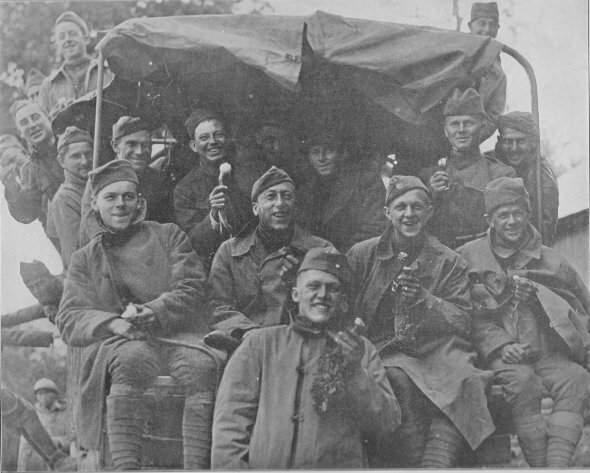 Members of the 2nd Battalion, 126th Infantry, 32nd Division, going to the front in camions. The onions are a great joke now. Faces are wreathed with smiles and yet these boys know that many are going up who will never come back. Near Souilly, Department of the Meuse, France.